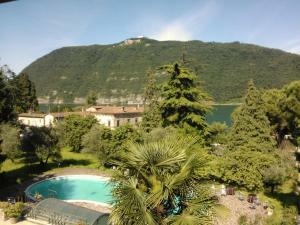 B&B Il Palazzo price per day from € 123 Residence Il Palazzo is an 18th-century building located on a hilltop with panoramic views of Lake Iseo, a 5-minute drive away. On sunny days, you can enjoy the lake views on the terrace in the garden. Villa Serioli price per day from € 80 . Agriturismo La Tesa price per day from € 170 With its panoramic hilltop location, Agriturismo La Tesa has a beautiful view of Lake Iseo. La Tesa offers a choice of apartments, suites or guest rooms. It has 12 hectares of meadows, olive groves, flowers and plants. 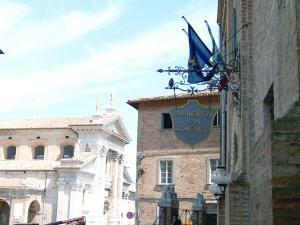 Borgolago Suites price per day from € 160 . 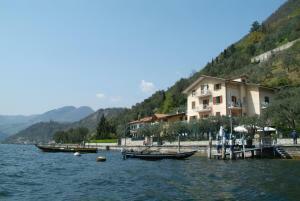 Hotel Miralago Occupying a central position in Bossico, overlooking Lake Iseo, the hotel is set in a mountainous area, offering a great destination for lovers of mountain biking, trail-biking and walking amongst natural beauty. Completely refurbished, the hotel has a garden and a field where you can play tennis or 5-a-side football. 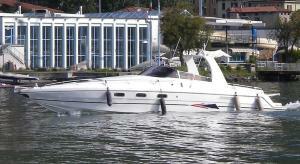 Boats & Breakfast Iseo Lake Lovere 1 price per day from € 39 . Villa Bredina price per day from € 45 . Villa Pasini B&B price per day from € 45 Set on the Morenic Hills of the Franciacorta area, Villa Pasini is located along a cycle path in Provaglio D'iseo, a 10-minute drive from Lake Iseo. An LCD satellite TV, air conditioning and free Wi-Fi are standard in all rooms. Villa Pasini B&B is 10 minutes' drive from Franciacorta Golf Club and 3 km from Terme di Franciacorta spa baths..
Hotel Miralago price per day from € 95 . Cocca Hotel Royal Thai Spa price per day from € 112 . La Foresta Monteisola price per day from € 80 Located on the peaceful shores of Monte Isola isle in Lake Iseo, la Foresta Monteisola features a garden, restaurant, and private mooring dock. Guests enjoy an Italian-style breakfast every morning, with savoury options available upon request. Offering free WiFi in communal areas, the property includes a TV lounge and bar..